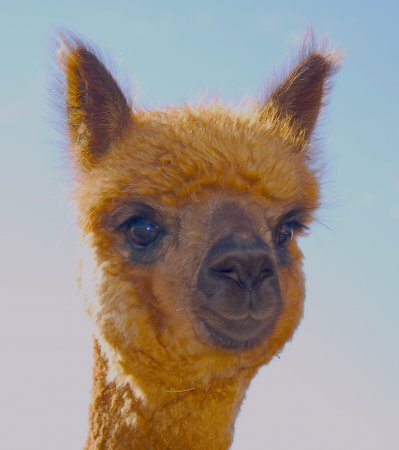 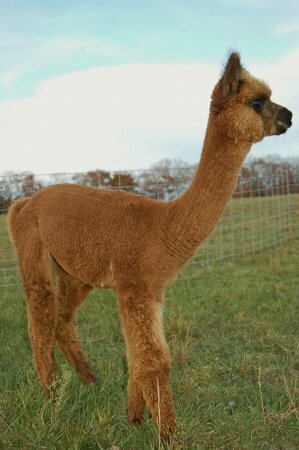 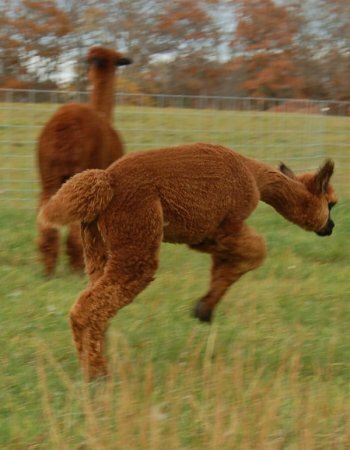 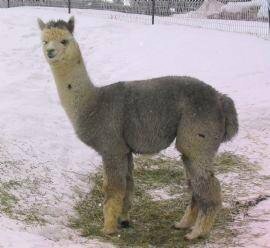 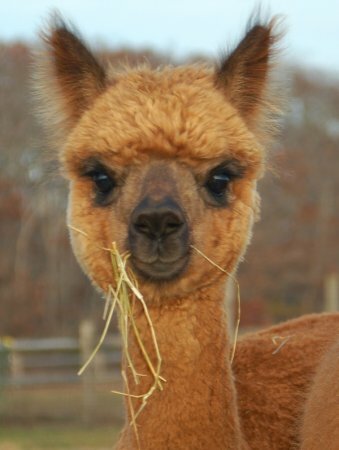 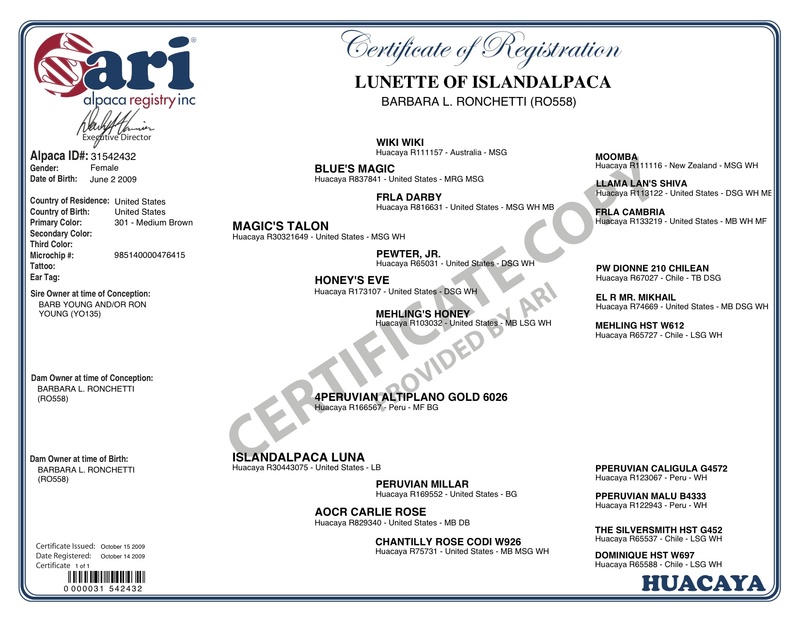 Lunette's first cria Larissa is just as beautiful as she, and Lunette's amazing fleece qualities have been passed down to her gorgeous brown daughter. 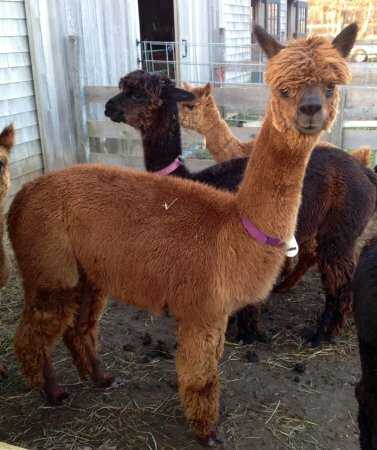 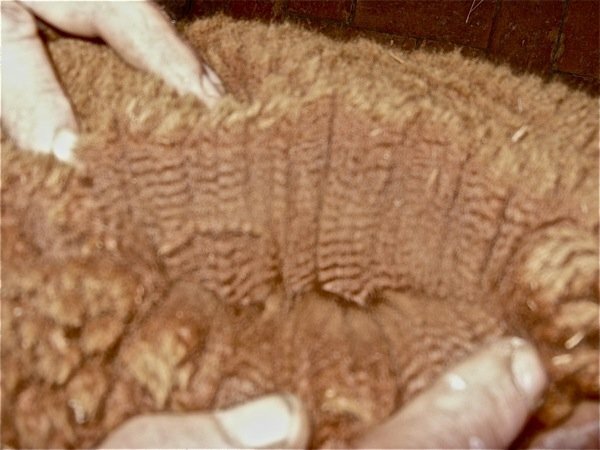 Larissa has amazing tight and bold crimped fleece that is very dense but also really fine. 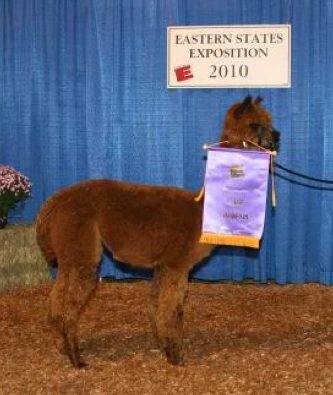 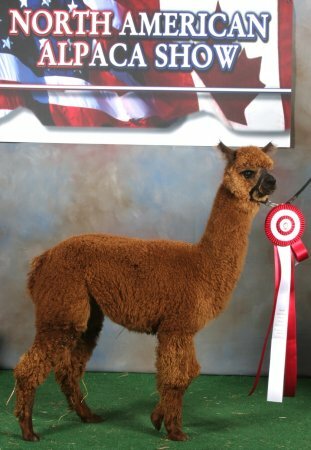 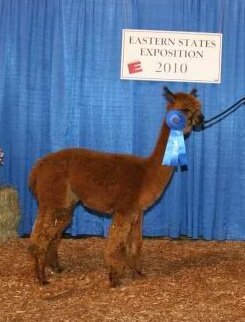 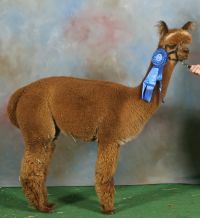 2017 Big E Alpaca Show: First Place - "Produce of Dam"
2010 Big E Alpaca Show: First Place - "Bred and Owned"